You look at the time and see that this one is double. It shows 06:06 and calls out to you right away! You have just experienced what is known as a synchronicity. This is a sign just for you that has been captured by your subconscious. But do you know what message the mirror hour 06:06 is trying to send you? Here we are going to use several tools to provide you with the significance of this “twin hour”. To start with, we are going to give you the message sent to you via the guardian angels. For this we will use the work of Doreen Virtue who acts as interpreter to the angelic world. 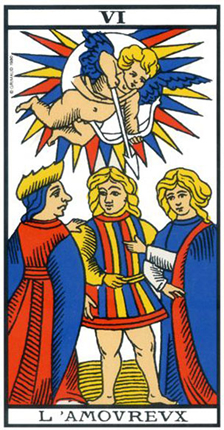 We will also use numerology which will allow us to analyze the significance of the numbers, and then finally we will show you its connection to the arcana in the Tarot of Marseilles. The mirror hour 06:06 has “6” as its dominant figure and is doubled. It is the symbol of union and harmony. It shows that your spiritual and material lives are going to connect, and that you should be able to combine the two. 06:06 represents the six-point star of the Jewish faith, a powerful symbol which also makes a strong appearance in the fields of esotericism and the occult. It represents man who was created on the 6th day as well as his initiation into the world of the divinatory arts. By showing you the mirror hour 06:06, the guardian angels are telling you that you are never alone! If you are currently facing problems or if loneliness is weighing you down, be aware that your guide and protector is always right beside you. They are just waiting for a sign, a prayer, or an invocation from you to come to your side and help you on your journey. The universe is made up of complex laws and some of them are hidden; only an insider can lift the veil of its mysteries. If you take the initiative to study areas such as esotericism and the occult, your studies will be met with success. If you ask them, the angels will help you in your spiritual training, especially if you wish to work in the disciplines of the occult such as magic, astrology, alchemy, talisman crafting, or shamanism. If you manage to follow the right path and allow the angels to guide you, you will be able to manage your life in a calmer way! They will help you to balance your chakras and your inner energies; this will allow you to develop profound wisdom. If you manage to truly deepen your understanding of the subject, you will have a fantastic experience! Rather than just living your life, you will feel it! Be aware, we must inform you that the angels need you to keep your word! If you have made commitments, you should prove your loyalty and keep to them! In life we must make choices and once made we must respect them. If you ignore this warning you may face problems. Take the time to reflect before you commit to something, and once you have committed, you should carry it through to the end! 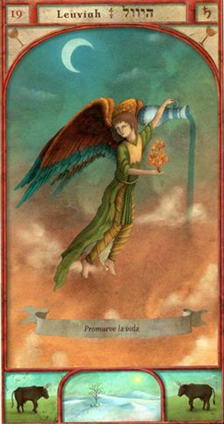 The guardian angel corresponding with 06:06 is Leuviah, whose influence extends from 06:00 to 06:20. He is the symbol of trust and grace. He helps you to overcome your challenges and protects you from people with bad intentions. He spreads divine grace throughout you and encourages any intellectual pursuit. If you work with respect towards angel Leuviah you will have the possibility of exploring your past lives. You have an excellent memory and this will allow you to remember a number of important things about your different modes of existence. The experience that you gain from this will help you to more easily face the difficulties and challenges that life has in store. What does 06:06 mean in Numerology? The total value of the mirror hour 06:06 is 12. This once again suggests challenge or difficulty. You should take the time to strengthen yourself, both physically and spiritually. By progressing in this way you will be able to escape any uncomfortable situation. Even if everything seems complicated, there are solutions available to you. You have the necessary resources inside of you to bounce back, so have confidence! Call upon your natural optimism! You have an overflowing imagination, especially when making use of it in the areas of art and creativity. You have certainly felt powerful inspiration inside of you, have you not? This is completely natural, as you are capable of channeling mystic energies as well as the messages of the deceased. Don’t hesitate to practice channeling or automatic writing, as you will have some surprising results! You explore the world and you like having new experiences! This makes you particularly sociable. You like to discover new cultures, and you are sensitive to the various spiritual energies which you come across on your travels. But don’t show off about your world travels too much. You have a capacity to throw yourself into the unknown. This is a rare thing in our society where a sense of control takes priority. This can unfortunately lead to frustration and jealousy from the people around you. Lastly, numerology shows us that 06:06 is bringing to the fore someone close to you. For him or her you are a role model of great importance, so make sure you know who this person is and take care never to deceive them. They hold you in such high esteem that if you shatter their image of you, it could destroy them. The Tarot card corresponding to 06:06 is the Lover! This arcanum represents youth! It symbolizes passion and sexuality. It highlights an important choice and can indicate either success or failure due to its inconsistent nature. You should therefore take note of where it appears in your reading. If the Lover is in a positive position in your reading, the arcanum is confirming that you will have to make a choice concerning the future of your love life. It can also indicate a blossoming relationship. It brings success through a series of coincidences. If it is in a bad position, then it represents doubt and uncertainty. The Lover is hesitant by nature and questions themself too much. This often prevents them from taking action. They remain stuck in their thoughts, and this can be a sign of weakness. Take action or risk failing in your endeavors. In your love life, you are going to enter a period of self-reflection. You are going to have to choose between two people or two situations. But above all else you must take action! Otherwise you may miss your chance! At work you feel stuck. The chain of command is analyzing your situation without really coming to a decision. This puts you in a position of dependence which inconveniences you greatly. In terms of money, the Lover is a big spender and here is a strong risk that you will enter a brief financial crisis. It is up to you to look after your budget. Any comment on the 06:06 mirror hour? 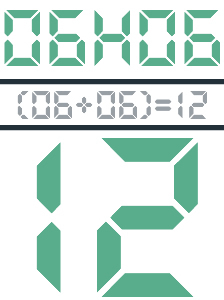 Everytime I look to see what time it is it’s a mirror number or with a 1 in the middle. Like 6:16, 8:18 etc. This has been going on for 9 months or so. It’s been freaking me out. I am a Gemini. Born on bicentennial year 76 and on the date 6/15. I have always been told I have powers. My last name is Blair too btw. I am confused though of what to do with all of it. I am very sick with MS. I have prayed for guidance, because I am in a bad situation. I appreciate these blogs to help give some understanding of what it means. Thanks. I know i have the choice of learning whaever i want, like the Magician! But i am so afraid of entities! I do need to do a lot of spiritual work first. Thank you very much, it was helpfull information!